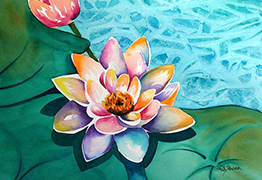 Welcome to the English-language website of the Pure Land school. Our aim is to introduce to international audiences the teachings and practices of Pure Land Buddhism according to the lineage of Master Shandao (善導大師, 613-681) of Tang Dynasty China. 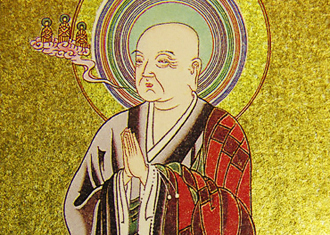 Master Shandao, long revered in East Asia as an incarnation of Amitabha Buddha, is universally acknowledged as the de facto founder of the Pure Land school of Buddhism. Grounding his teachings in the three Pure Land sutras preached by Shakyamuni Buddha, he urged practitioners to aspire to rebirth in the Land of Bliss by reciting the name of Amitabha Buddha exclusively. After the Charter, it is necessary to be familiar with the school’s founder, for the former is based on the teachings of the latter. The founder occupies a preeminent position in the school, unmatched by others. The founder of the Pure Land school was Master Shandao of the Tang Dynasty, widely accepted as an incarnation of Amitabha Buddha. He synthesized and completed the Pure Land teachings and wrote the Five Works in Nine Fascicles, which definitively laid down the thought and practices of the Pure Land tradition. 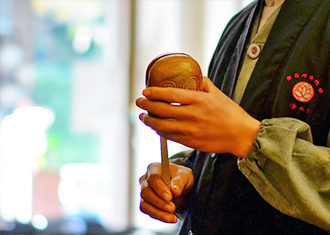 A “charter” outlines the principles characteristic of a Dharma school and sets forth guidelines for practice by its adherents. The Pure Land Charter was drafted by Dharma Master Huijing. It serves as a manifesto for the Pure Land school, summarizing its evolution over more than a millennium, up to the present day. The Charter consists of 18 clauses defining the essential elements of the school and clearly lays out its framework. The Forty-Eight Vows enunciated by Amitabha Buddha extend to all sentient beings in the ten directions. To realize His Vows, the Buddha spent a multitude of countless eons to carry out the Ten-thousand Ways of Bodhisattva on our behalf to cultivate and accumulate for us the virtues and merits. This is called “His-effort” – All of the efforts, which are the causes, are made by Amitabha Buddha, and the rewards, which are the consequences, are received by us with faith in the Buddha. We should respectfully believe in the compassionate deliverance of Amitabha Buddha and accept it. Having understood Amitabha’s great, compassionate love, we should show kindness and consideration towards other suffering beings. Like us, they are mired in the cycle of rebirth within the Three Realms. We should recognize that we ourselves are iniquitous ordinary beings, subject to endless rebirth. We ought to maintain a humble and agreeable attitude. The rite contained in this booklet is special, different from any other that’s comparable in some way. It is unique because the entire text is based on the three Pure Land sutras and the teachings of Master Shandao, de facto founder of Buddhism’s Pure Land School. Both concise and precise, the rite is easy for participants to understand and follow. It takes a direct, straightforward approach to convey a powerful message, guiding bewildered, just-deceased persons as they seek deliverance at this critical moment. What does AMITUOFO "mean? Today people say "AMITUOFO" as a way of saying "Hello", "goodbye," "Thank you," and "Sorry." When we say "AMITUOFO", our hearts will become gentle. The belief is that we can only solve problems when our hearts are gentle and our minds are at peace. Then we can spread goodness to other by using our loving kindness and begin to bring peace to our world.How do you reach the Pure Land? There are three rules to get there. They are faith, aspiration and practice. Faith is a strong belief in AMITUOFO's power to lead us to the pure land. Aspiration is working hard to reach the pure land, through good deeds. Practice is chanting "Namo Amituofo" to bring peace and learning. The pure land is a place with no suffering. It is a kind of heavenly country. This is a place where people can be reborn and live in joy!Who is Amitabha? Amitabha is the principal Buddha of the Pure Land. If, when I achieve Buddhahood, sentient beings of the ten directions who earnestly believe and rejoice, wish to be reborn in my land and recite my name, even ten times, should fail to be born there, may I not attain perfect enlightenment. Excepted are those who commit the five gravest transgressions or slander the correct Dharma. In times to come, the sutras and the Dharma will perish. But, out of pity and compassion, I will retain and preserve this sutra for a hundred years more. Those sentient beings that encounter it can obtain deliverance as they wish. Those who hear the name of that Buddha [Amitabha] and rejoice and recite his name even once shall receive the utmost benefit, which is unsurpassed merit and virtue. By the power of that Buddha’s Fundamental Vow, Those who hear his name and wish to be reborn Will all reach his land. They will naturally attain a state of non-retrogression. With infinite great compassion, the Tathagata commiserates with the beings of the Three Domains. Therefore he appears in the world to teach and enlighten them. He wishes to save the multitudes by endowing them with real benefits. We are the Chinese Pure Land Buddhist Association. Our aim is to introduce to international audiences the teachings and practices of Pure Land Buddhism according to the lineage of Master Shandao ( AD 613-681) of Tang Dynasty , founder of Buddhism’s Pure Land school. Our English website is in its early stages of construction. Over time, we will be adding content and features.